The Pan Celtic Race team bring different qualities, skills and quirks to the table. The common theme that unites us is a sense of discovery, of wanderlust and the recognition that the best way to achieve this is the medium of travel…by bike. Matt (AKA Mally, MFR amongst other things) is fond of riding far and at times has been gone for days, to the point he has had to buy a cardboard cut-out of himself to remind his wife and children what he looks like! 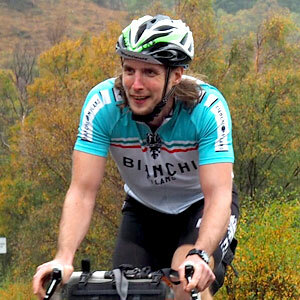 He has plenty of experience racing and organising bike races and cut his “bike-packing teeth” on the Bearbones Winter Ride Thing a few years back. He has a fondness of sleeping in bushes, under caravans, drains, football stands – pretty much anywhere that provides shelter on a “ride out” , He rode TCRNO5, TAW and is hoping to ride the TABR if his wife will let him. Pete is a seasoned Graphic Designer who has worked for a range of clients including the sports & fitness sector. He is responsible for the Pan Celtic Race brand and will be adding content to the website regularly. 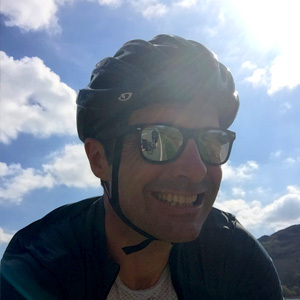 When he’s not working with stylus in hand, Pete loves long days cycling and exploring Snowdonia, North Wales and discovering new routes and challenges! Rebecca is a Project Manager by trade. She will be taking care of logistics, legal and finances. 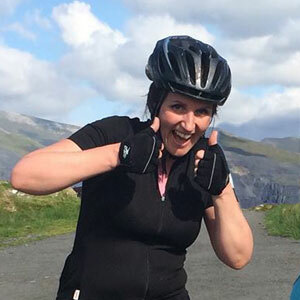 When not working and taking care of her boys, she can be found out on her bike in the mountains of Snowdonia and along the Welsh coast. 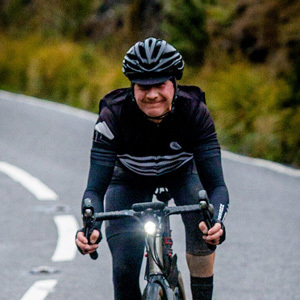 Rebecca’s experienced the highs and the lows of being married to a bike nut and knows what it is to soak up the emotion and atmosphere having been at the finishes of TCR No5 and Transatlantic Way. She is looking forward to welcoming you all in at the finish and meeting some of your loved ones too. Audax Super Randonneur, Grimpeur and three time ‘Everester’. If he’s not posting photos from his last endeavour he’ll be writing about it, planning the next one, or out riding through the mountains of Snowdonia, North Wales. Toby is the point of contact for all things Social Media, so please contact him and spread the word. We’d like to thank the following people for helping with their skills & time on this project.